Our objective at DWF Leather Artistry is to provide to you the finest custom handmade leather goods at a reasonable price. Even though all of the products shown here are individually hand made, I will still try to provide your order in a reasonable length of time. In most cases, I will be able to give you a rough estimate of shipping time. To find a category you like, just go to the product page and select which category you want from the side bar and it will take you to that page. Please give me a call or e-mail with questions or pricing on what you have in mind. 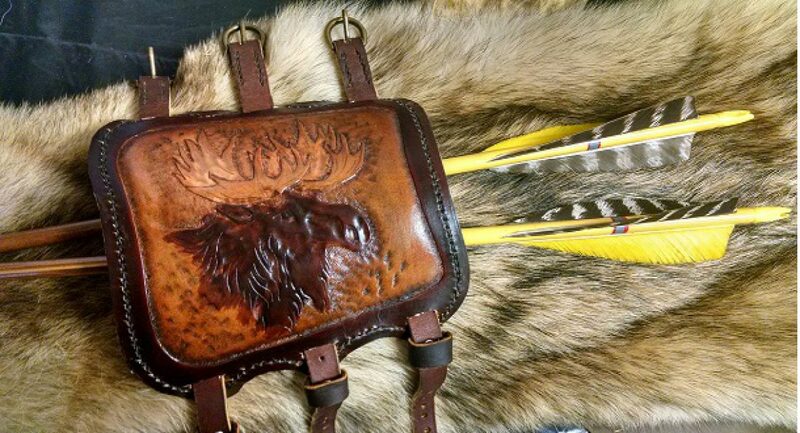 Please consider DWF Leather Artistry for your next project and contact me to talk about what you would like. I will do my best to create that unique leather product that you will be proud to own. Here are some of many examples of projects I have done for other folks. Browse around the different categories and pick out a style that you like. Remember that these are only examples. I’ll do my best to create just what you want for a hand made custom leather item you’ll be proud to own.